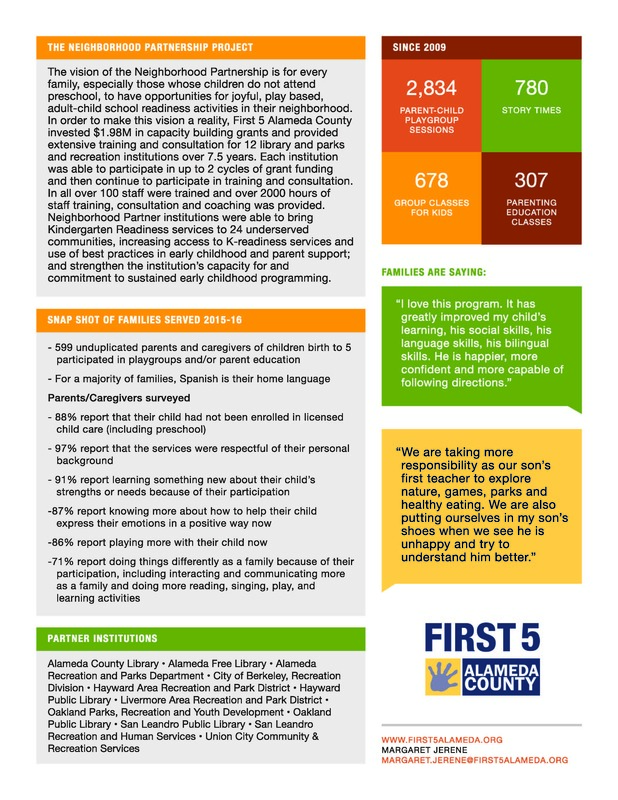 A 7.5 year capacity-building partnership between First 5 Alameda County and twelve neighborhood based library and park and recreation institutions. The project, which runs from January 1, 2010 through June 30, 2017, increases community access to school readiness programming for infants, toddler, and preschoolers and their families at libraries, park, and recreation centers in low-income, high-need neighborhoods. All of the institutions funded by the Neighborhood Partnership offer free or low cost story times with parent-child playgroups and parent education. 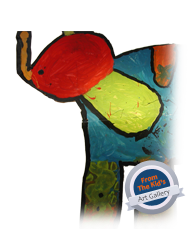 In addition, some programs offer Pre-K children's classes and family enrichment programs. 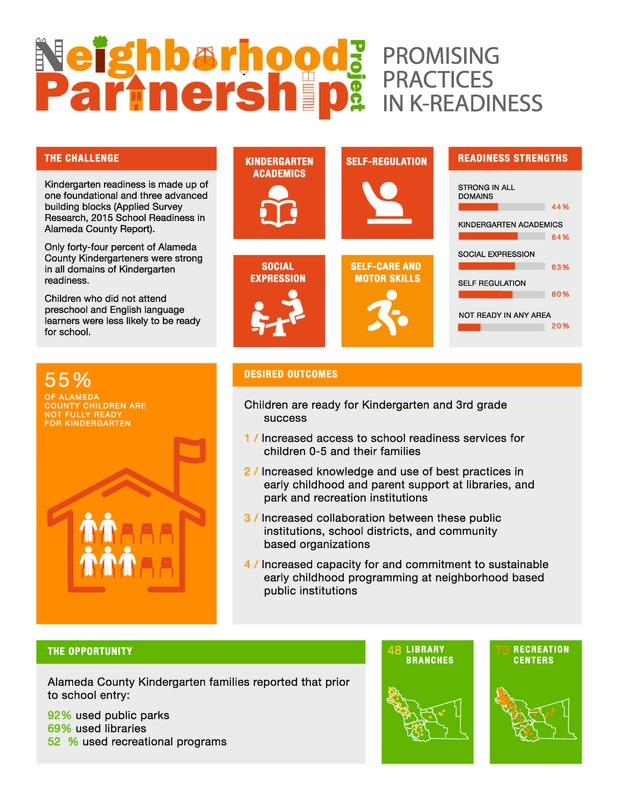 Partners also support parents as children's first teachers and encourages families to practice school readiness activities at home.